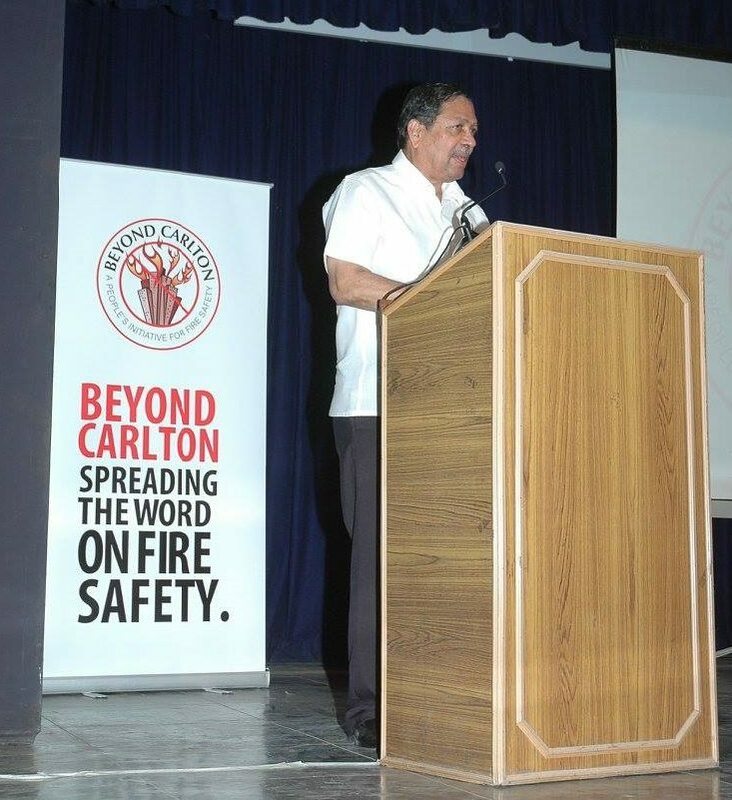 In remembrance of those who lost their lives 6 years ago in the Carlton Towers fire, The Beyond Carlton Memorial Lecture was held on Saturday, 27 February 2016, at St. Joseph’s College of Commerce Auditorium,Bangalore. Since the inception of the annual Beyond Carlton Memorial Lecture a few years ago, Swati Ramanathan – Co-founder Janagraha, R A Venkitachalam – MD Underwriters Laboratories, Rajeev Chandrasekhar – MP, and V Ravichandar – Civic Evangelist, have spoken on topics related to urban and civic issues. Justice Hegde joined the bar in 1966 and was appointed the Additional Solicitor General of India in 1989. He was the first from Karnataka to be made the Solicitor General of India in 1998 and one of the only four in India to be appointed as a Judge in the Supreme Court from the Bar directly in 1999. After retiring as a Judge from the Supreme Court in 2005, Justice Hegde has been the Chairman of the Telecom Dispute Appellate Tribunal. 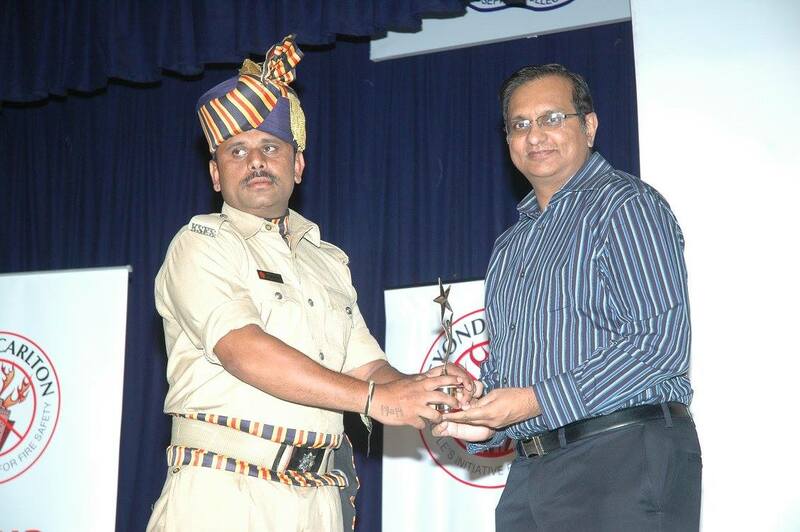 As the Lokayukta of Karnataka between 2006 and 2011, he made a huge impact on bringing the corrupt to book. 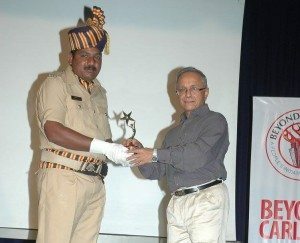 He has received many awards as recognition for his stellar work; these include the “NDTV Indian of the Year” award and the “Times of India Man of the Year” Award. 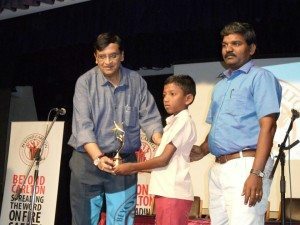 The talk was followed by the demonstration of a working model of a low-cost fire extinguisher that was the invention of 13-year-old Jayakumar, a resident of Sivakasi. 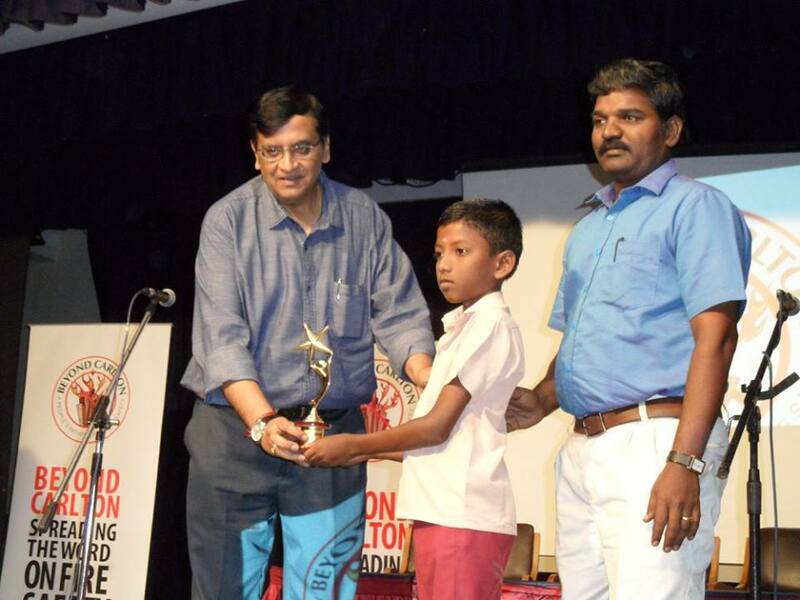 Jayakumar, a 9th standard student in a government school, accompanied by his Science teacher Karunaidoss, was interviewed on stage by R A Venkitachalam (Venki), one of the executive council members of Beyond Carlton. He talked about why he came up with the idea of a low-cost fire extinguisher. Jayakumar was felicitated by Uday Vijayan, the Managing Trustee and President of Beyond Carlton. Thereafter, as has been the practice these past few years, two firemen -Venkatesh Naik, Fireman 2941, Rajajinagar Fire Station, and S N Nagesh, Fireman 3092, Hebbal Fire Station – were honoured by Beyond Carlton. 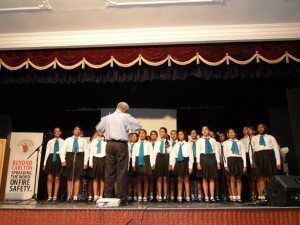 Under the guidance of Mr. V. Narayanswami, 29 girls from The Frank Anthony Public School Treble Choir paid a heart warming tribute to the lives lost in this accident.